The Horizon elliptical cross trainer Andes 5 Viewfit convinces by a natural, smooth, joint-gentle course of motion. It is guaranteed by motion-dynamic pedals, a low Q-factor, and optimally positioned handlebars, among other things. 12 training programmes provide a diversified training. In addition, the Andes 5 is passport ready and is now also equipped with Viewfit! 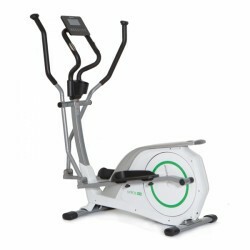 Elliptical cross trainer of the Andes series: Attractive design. Natural course of motion. Viewfit! 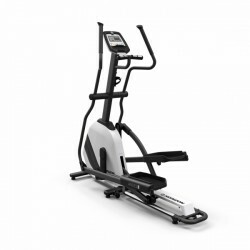 The Horizon elliptical cross trainer Syros is a compact entry-level model. 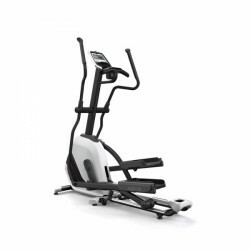 The Syros elliptical cross trainer comes in the renown Horizon quality and in a fresh design. The Horizon elliptical cross trainer Andes 8i has a joint-gentle induction brake system which can be precisely varied in 30 levels from 25 to 400 Watt. Even more diversion is given by the optionally available Passport-Box to simulate training tours. The Horizon elliptical cross trainer Andes 8i has an excellent motion ergonomics and can be folded space-efficiently after the workout. Height to get on of just 27 cm! The Horizon elliptical cross trainer Citta ET5.0 of the new, innovative Citta series. The Horizon elliptical cross trainer Citta ET5.0 is a real eyecatcher with respect to design and ergonomics. The slim, black steel tube constructions adapts to any space. In addition, the low step-through offers a high level of comfort. The Horizon elliptical cross trainer Syros Eco sets standards for environmental friendliness in its price category: a generator brake system, an eco-friendly design, and a long durability. Furthermore, the Horizon fitness equipment ensures an excellen training experience. I am very satisfied with the product. Efficient , quiet operation , precise assembly, excellent packaging , fast postage. 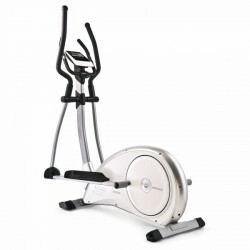 Horizon Fitness offers a wide range of high-quality elliptical cross trainers. Besides hihgest running comfort and innovative technologies, it is focussed on a first-class workmanship of a sturdy quality with respect to elliptical cross trainers of the company Horizon Fitness. In addition, complete entertainment and programme featues provide more training motivation in addition to the high-quality frame construction and the elliptical motion. The Horizon Fitness elliptical cross trainers of the Syros series are ideal for fitness beginners thanks to their excellent price-performance ratio. 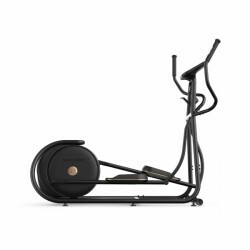 The Syros Pro, for instance, can be ideally used for starting cardio training again. Even experienced users benefit from the smooth, comfortable concentric run of the Syros Pro thanks to its balance mass of 23 kg. 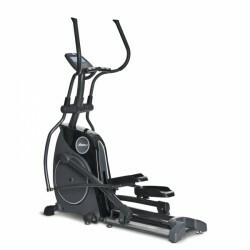 The highlight of the Horizon Fitness elliptical cross trainer Andes series is a comfortable, foldable frame. Thanks to the FEATHERlight folding system, the Horizon Fitness elliptical cross trainers offer a well-thought out combination of a space-efficient solution and stability. Due to the hydraulic mechanism, the rails lift and lower quite easily and facilitate the storing of the machine at home. An especially small pedal space (Q factor) of less than 10 cm is an important feature of the Horizon Fitness elliptical cross trainer Andes series. It provides the advantage that the machines of Horizon Fitness allow an adjustment to the natural motion sequence. All Horizon Fitness elliptical cross trainers of the Andes series are equipped with motion-dynamic pedals (APS). The mobile pedals with rubberised treads adjust to the foot position of the user and support hence a soft, elliptical motion. 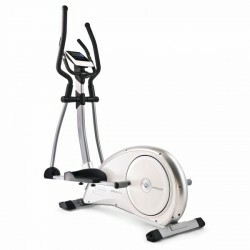 The Andes 7i is one of the best elliptical cross trainers of the company Horizon. 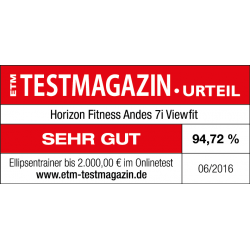 Being awarded with an A ("Very good" with 92.8 %) by the ETM Testmagazin 11/2014), the Horizon elliptical cross trainer Andes 7i sets a high standards with respect to ergonomics and high-quality equipment. The elliptical cross trainer Elite E4000 is a special model, which was especially designed by Horizon Fitness for ambitious sportsmen. The Elite E4000 is equipped with an especially small pedal space of less than 10 cm, a deep step-through as well as a perfect handle position. Thanks to these attributes, the Elite E4000 ensures advantageous ergonomics while doing an efficient training at home. The Elite E4000 does not only feature a sturdy and ergonomic frame construction, it also offers a high-quality console with 14 challenging programmes. The Horizon Citta series: Simply Citta. Precious, minimalist design and great training comfort for an active everyday life - that's the demand of the new Citta series of Horizon. Due to their clear lines and soft curves, it fits perfectly to the modern living environment. The colour concept is a classic combination of matt black and precious gold. 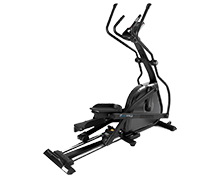 The Horizon elliptical cross trainer Citta ET5.0 does without any needless features, so the re stands nothing in between you and your training. 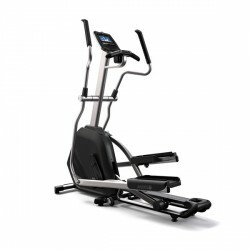 Besides the precious elliptical cross trainer, the Citta series also includes an upright bike and a treadmill. Do you suffer from a lack of motivation? Depending upon the model, Horizon Fitness offers a wide range of entertainment and programme features. Using the basic programmes and many extras, you can precisely measure your training performance and progress and enjoy a diversified training. The elliptical cross trainers, which are marked with "Passport Ready", work with the unique Passport Media Player. Conquer really shot training routes with the optionally available Passport Media Player via your television.